Dr. Taylor is a Professor of Psychology at Sacred Heart University in Fairfield, Connecticut. She teaches courses in Abnormal and Clinical Psychology, Mental Disorders in Popular Films, Psychological Research, and the Psychology of Women. Dr. Taylor announces the release of her new book: "OCD: A Workbook for Clinicians, Children and Teens; Actions to Beat, Control & Defeat Obsessive Compulsive Disorder". Step-by-step worksheets and exercises to break free of OCD. Strategies for contamination, checking, worrisome thoughts, perfectionism, hoarding and religious obsessions and compulsions. Relaxation and thinking skills to manage anxiety. Use Actions, to Beat, Control and Defeat -- the ABCDs of OCD to effectively conquer symptoms. The book is available on Amazon.com and Pesi.com. 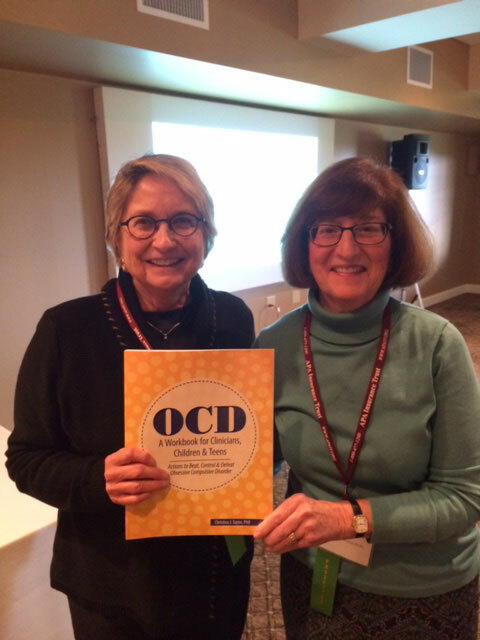 Dr. Taylor and Dr. Diane Sholomskas spoke about cognitive behavioral therapy for OCD at the Connecticut Psychological Association conference on October 28, 2016. In March 2016, Dr. Taylor visited Cuba. 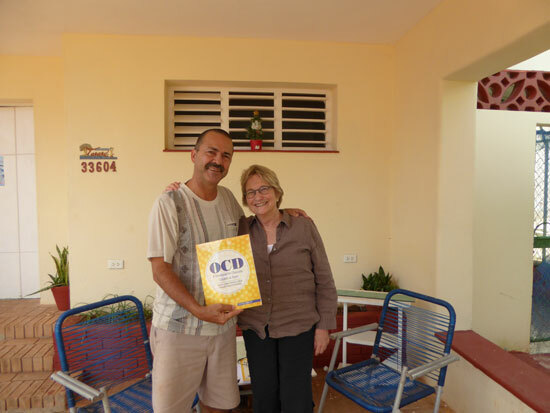 Here she is presenting her book, "OCD: A Workbook for Clinicians, Children and Teens; Actions to Beat, Control & Defeat Obsessive Compulsive Disorder" to Dr. Alexis Lorenzo Ruiz, President of the Cuban Society of Psychology in Havana. For appointments, please call the office only. We do not accept appointments by e-mail. Dr. Taylor Announces Her New Book! Click here for information. The next Fairfield County OCD Support Group meeting is on Friday, April 12, 2019 at 7:30pm. Click here for more information.